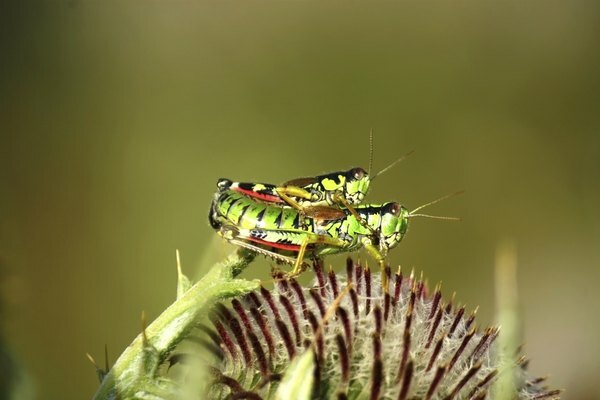 There are more than 10,000 different species, or types, of grasshoppers. Each species has unique characteristics when it comes to geographic location, anatomy and trends in behavior. In addition to their scientific names, the following types of grasshoppers have been given common names. 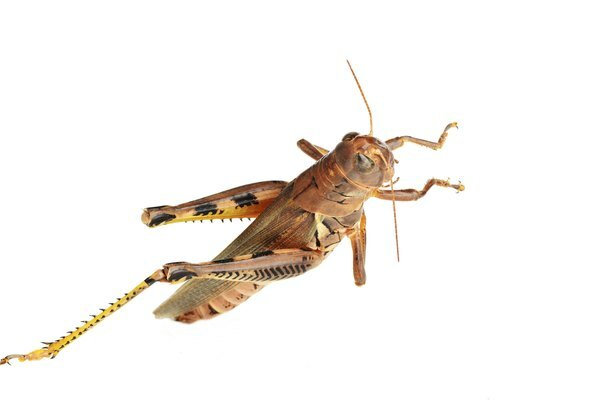 This type of grasshopper can be found throughout the mid-western region of the United States. They get their common name from the brown spots that cover their bodies. 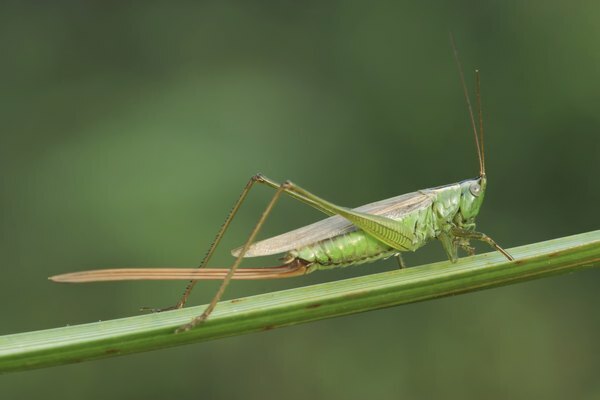 This grasshopper relies on sedge and grass for its main source of food. This grasshopper is abundant on the west coast and the north-eastern region of the United States. 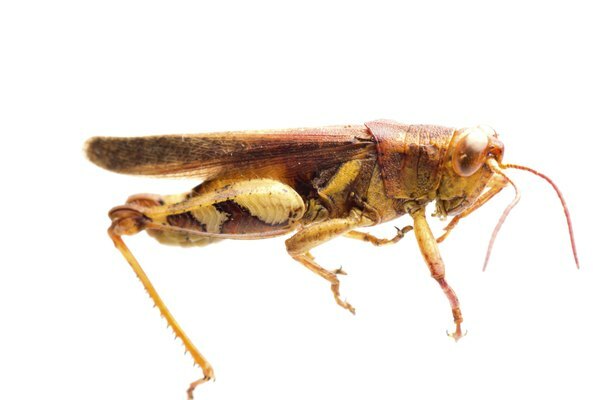 This type of grasshopper is considered to be one of the most destructive pests in the grasshopper family. It feeds on and destroys small grasses and grains. Plentiful in both North America and Central America, the green-striped grasshopper is unique in the fact that it prefers to feed on plants of succulent varieties. The big-headed grasshopper species is native to the western portion of North America. It is considered to be a serious pest when it comes to grasslands used for grazing. The high densities of this grasshopper, which can be up to 20 insects per square yard, consume the grass before cattle can get to it. This species of grasshopper is another that is native to the mid-western region of the United States. 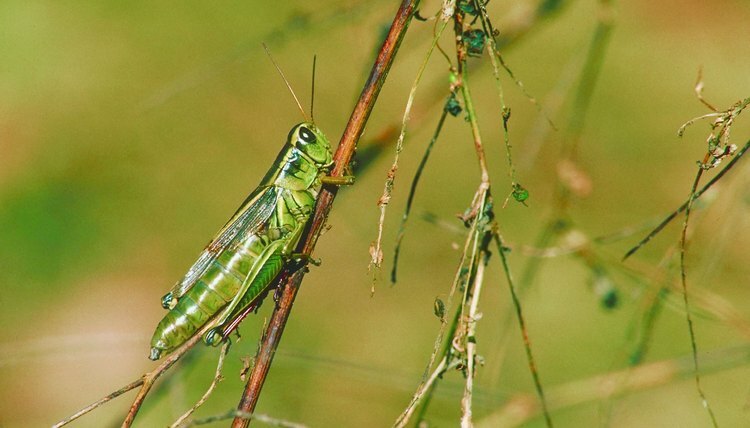 Large numbers of this grasshopper can be found where there are large amounts of buffalo grass and blue grama grass.